From falafel street food vendors in New York to high end restaurants serving majestic meze platters in London, Lebanese cuisine is renowned across the world. But, to truly appreciate the entirety of this proud nation’s fantastic fare there is nowhere better than its cosmopolitan capital Beirut. Beirut is Lebanon's scoundrel; standing in opposition to the common misconception that all the Middle East has to offer is nomads riding on camels through vast stretches of scorching desert. The heart of Beirut presents the fusion of the effervescent Eastern culture with Western sensibilities. A chaotic haze of bars, clubs, restaurants and art museums, Beirut presents an array of Lebanon's rich history combined with an unfettered hedonism. Formally known as the Paris of the East thanks to elegant French influences and a thriving cultural and arts scene, the destructive Lebanese civil war from 1975-1990 devastated the city and drove people out of the country in search of a better life elsewhere. Fast forward to the present day and Beirut has risen spectacularly from its poignant past, regaining its reputation as a bohemian hub, which is particularly evident in its vibrant food scene. As people have come back to the country, they have brought with them culinary techniques and exotic ingredients from cultures near and far, enriching an already eclectic Levant cuisine. Traditional Lebanese cuisine is characterised by a diet rich in grains, fruits, vegetables and fresh fish and seafood from the azure waters of the Mediterranean with many of its dishes can have their origins traced back thousands of years. Whether you wish to immerse yourself in the pleasant pandemonium of the souks or dine in innovative restaurant concepts alongside locals, it’s time to rediscover the beauty of Beirut across its exciting food scene. Chaotic but charming, food markets are perhaps the best way to truly gain a sense of the local culture. There is something quite addictive about losing yourself amongst the throngs of people seeking out their next bargain and brassy vendors shouting in a multitude of languages you don’t understand as you hopelessly try to haggle your way out of a sticky situation. Markets in Beirut, or souks to be more specific, are more than just endless stalls where you can pick up fresh produce and crafts from local artisans, they are meeting places where residents and visitors alike can mingle. Opened in 2004, Souk el Tayeb was the first farmer’s market in Lebanon and entices visitors with the wonderful sights, sounds and smells of Lebanese culture. More than just a farmers market, the Souk El Tayeb is a celebration of Beirut; supporting small-scale farmers and producers with all kinds of craft and products available including honey, pine nuts, pottery and straw baskets. Every Tuesday the Hamra district comes alive with the Souk el Arad, which literally translates as the ‘Earth Market’ and it is the ideal spot to grab organic produce. Not only are earth markets an important part of the fabulous food scene in Beirut, they are also the healthier option, offering organic products without the use of chemical fertilisers. Any serious foodie will want to make sure they head to Downtown Beirut on Thursday night to feast on the copious amounts of yummy food sold here. The effortlessly cool vibe of the souk combined with tremendous street food selections that showcase cutting edge food culture from near and far make it one of Beirut’s hottest nights out. Granted the Beirut Souks are not quite the open air markets of above, but we felt that they are just too marvellous to miss out. An extraordinary dining and entertaining complex, the Beirut Souks boasts over 200 shops, from Armani to Zara, and 25 restaurants, so after a day of lusting over labels you can stop for a hearty bite to eat. Even though heading back to basics and navigating markets and tucking into local fodder in the street is undoubtedly a great way to absorb the flavours of Beirut’s food scene in an authentic and unpretentious way, sometimes you can’t beat a sit down meal at a plush restaurant. Beirut has plentiful cafes, restaurants and bars that offer something to suit all tastes. The city is awash with no-nonsense kitchens, intriguing dining concepts that sees you pay what you think your meal is worth, and more stylish offerings with decadent Middle Eastern inspired idiom. Anyone serious about good grub will know that Tawlet is the jewel in the dining scene crown of Beirut. Tawlet has earned the respect of every farmer, chef and foodie in the country as each day sees a visiting local chef preparing a daily lunch buffet, allowing you to gain a true flavour of the Lebanese food cooked at home. For an evening meal, visit Liza, the epitome of Beirut chic. Located in the stylish Achrafieh neighbourhood, Liza serves the freshness of Lebanese food in a modern and eye-catching way.  With beautiful interiors that have been praised by international design magazines, exquisitely refined food and reasonable prices, you’ll certainly be getting your money’s worth. When arriving in the restaurant, the first thing that strikes you is the lavish oriental décor. Named after the street it is located on and frequently considered one of the top places in Beirut to get quality Lebanese food. Sit on their stunning terrace and share a meze with friends as you watch the world go by below. If you have indulged in a bit too much Lebanese cuisine and want something different but not quite sure what will whet your appetite, head to Mótto where its incubator concept sees chefs from across the world take their turn in the kitchen. There is no menu and you pay what you think the meal is worth, ensuring a unique dining experience. Lebanese food comes under what is known as the wider Levant cuisine and any amount of time spent in Beirut should of course revolve around sinking your teeth into as much of their gastronomic offerings as is physically possible. Lebanese food comes in all shapes, sizes and flavourings and most will probably already be familiar with meze, the sharing starter platter that has become emblematic of Middle Eastern society. From Arak to Zalabia, Levantine cuisine is fragrant and flavoursome and while we haven’t created a definitive A-Z we have picked out some of the foods that you absolutely must try when in Beirut. If we were declare this as pizza then the Italians would probably scream mamma mia and make some obscene hand gesture, but when in Beirut start your day off the Lebanese way with manakish. It has a similar construction to pizza as it is a baked flatbread topped with fresh ingredients including tomato, meat and cheese and you’ll find it in most bakeries across the city. Meat lovers will rejoice and salivate at the sight of tender meats being placed on a spit, seasoned and then grilled for as long as a whole day. The end result is succulent strips of meat leaded into a pita and topped with yet more Middle Eastern favourites such as hummus and tahini. Indulgent yet satisfying, it’s hard to resist shawarma. As one of the biggest exports of Middle Eastern cuisine, we’re not quite sure if it is even possible to visit this magical part of the world without eating falafel. These delicious deep fried dough balls are traditionally made out of fava beans or chickpeas, yet in Lebanon they combine both these ingredients for a treat your taste buds won’t forget. Hailed as Lebanon’s national dish, it would be rude not to take a bite into the crunchy fried exterior of the bulgur wheat patty that is typically filled with minced meat. The thought of raw meat can make even those with the strongest of stomachs a little squeamish but believe it or not, eating raw kibbeh is quite the delicacy here. To truly discover a city and all of its delights you need stray away from the overcrowded centres and delve into its neighbourhoods. Ambling around a different area allows you to admire architecture, witness life from a local perspective, stumble across hidden gems you never knew existed and of course check out hotspot eateries and quirky watering holes. Neighbourhoods can be gritty, they can be polished or they can be a combination of both, and Beirut’s diverse districts certainly do not disappoint, promising something for the hipsters, the trendsetters and those who have never-ending wanderlust. Brimming with over 100 bars, restaurants and cafes, if there is one trendy neighbourhood you need to check out then it is Gemmayze. 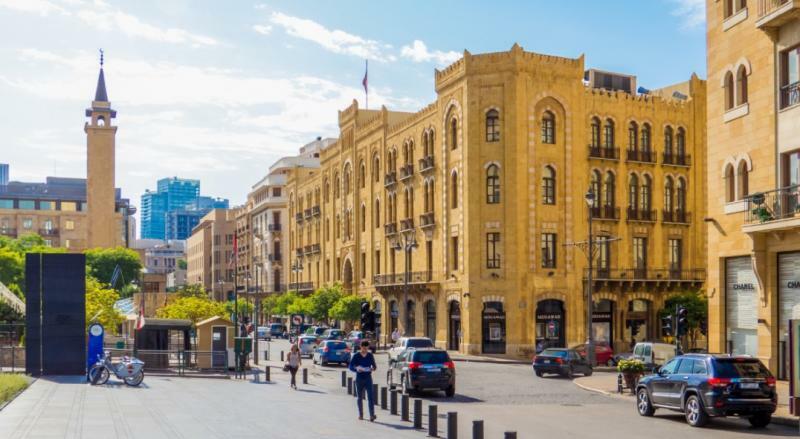 Renowned as a thriving nightlife destination in the Lebanese capital, the houses have facades that are an ode to traditional Mediterranean design and there is an eclectic mix of up-market restaurants and laidback abodes. Before the civil war, Hamra was known as the Champs Elysées of Beirut, where affluent residents and visitors would descend upon to watch spectacles at the Piccadilly Theatre. Over the past few years it has begun to flourish again with a host of new bars, cultural venues and coffee shops opening as well as an annual street festival, gifting it a distinct artsy vibe. Dramatically rising from the ruins of the civil war, this colourful neighbourhood has undergone an impressive redevelopment and is known as the Le Quartier des Arts (the art quarter) due to the number of luxury boutiques and art galleries. Here you’ll find a selection of restaurants to complement the ambience of the area as well as the famous Souk el Tayeb. The luxurious backdrop of yachts makes the bay the perfect setting for an evening of classy dining with a range of chic restaurants delivering everything from international cuisine to traditional Lebanese fare. And for those of you who really can’t live without your daily Starbucks, there is even a store here– although we think you should opt for an Arak (alcoholic spirit made of aniseed) rather than an Americano.